From the same trip to Paris. 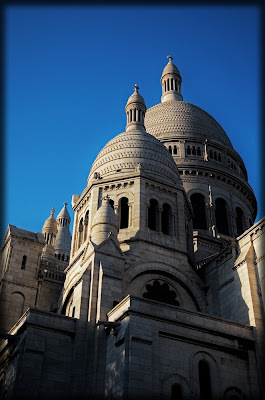 In the evening, we went to Mont martre and the Sacré Coeur. We watched the sunset over Paris and I took this, among many other pictures. We really had an amazing day in this beautiful city and we will definitely be going back there! It's a HDR rendering of five different exposures so as to get the nice details you're seeing.